Condensation, mould and damp are one of the biggest problems within thousands of UK homes, a lot of people think that these problems mean that their house is not clean – but this is not the case. So if you’re suffering from this irritable home issue, then we’ve got some tips to help you stop condensation and mould in your property. Why Stop Condensation And Damp In Your Home? 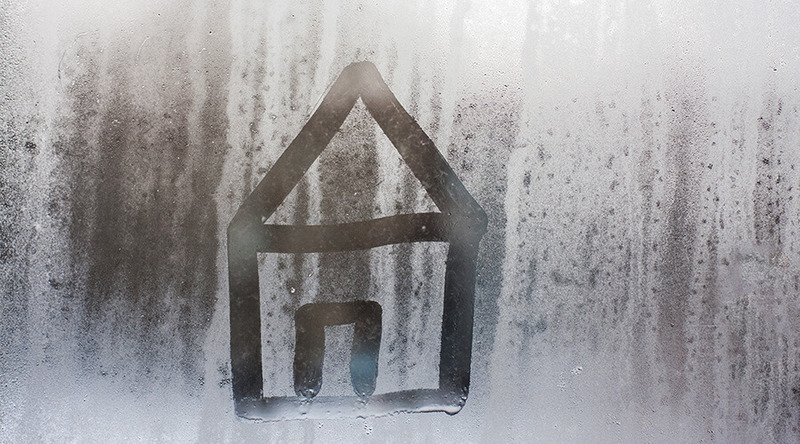 Condensation may not seem like a big problem in your home, but it can cause serious issues for your home. Condensation is the prime offender that causes damp, mildew and mould so if left you can end up with any of these troublesome home problems. Not only are all of these things visually unappealing, but they can also cause serious health issues. They can cause illness to any of the members of your family as they are riddled with harmful bacteria, although there are many different forms of bacteria so you can look up here to see what one you have in your home and how to go about getting rid of them. As well as this, mould is bad for asthmatic people, and it can cause problems breathing so you should get this checked as soon as possible if this could apply to you. So if this is a common household problem that you and your family suffer from, the not to worry! We’ve got these top tips on how you can rid your home of mould and prevent condensation! The key to a healthy home is making sure that it is adequately insulated, without any insulation your home will be cold, and not only that, but it will be wasting your money. Insulation stops cold air entering your home and warm air leaving iso without this it’s going to be extremely difficult for you to keep your property at an optimum temperature. Insulation is available in a variety of different forms, loft insulation, cavity wall insulation as well as things such as double glazing and draught proof doors can work to insulate your home. Double glazing as well as insulating your home reduces the amount of condensation that your household produces, most mould situated near windows is due to the fact that they are old and worn out, or they’re single-paned windows. Moisture in the air is the cause of condensation; when it touches a cold surface going from a warmer surface, it transfers itself into condensation. So a good way to stop this from happening is to take the moisture out of the air, which can be done with dehumidifiers. Dehumidifiers are available in different sizes to suit the amount of moisture that needs collecting, and for the size of the room, you wish to put it in. They feature a plastic container that can be removed at ease to empty all moisture collected from the air. Dehumidifiers are inexpensive and are a great way at eliminating condensation that could then turn into mould; they also take all of the bad stuff out of the air making the air in your home cleaner and sustaining a reasonable level of ventilation. When showering or cooking food in the kitchen, it’s unfortunately impossible for you to not produce any form of steam and when this happens as soon as it touches a cold surface, it will transform into condensation. Especially with showers, these can produce copious amounts of steam, and as bathrooms are naturally cold, it can make them the perfect breeding ground for bacteria such as mould. Extractor fans were designed to sort this problem as you cannot have an electrical appliance like a dehumidifier present near copious amounts of water. Alternatively, extractor fans were invented for the same purpose but so that they can be turned on and off with a simple cord during your shower. They are high up and aid in removing all moisture in the air to stop condensation settling in your bathroom or kitchen. And to stop this happening in your conservatory when the weather is often changing the temperature from hot to cold, you can even install extractor fans in Conservatories Milton Keynes for optimum air moisture control. For proper ventilation in your home, the best thing you can do is open windows to let the breeze refresh your home. You should try and ventilate your home as much as possible although it can be dangerous to leave your windows unlocked and open so you should never leave an accessible window open when nobody is home as it is a perfect opportunity for burglars. In the rooms where you spend most of your time, you should open them as much as possible when you or another family member is home to create proper ventilation. Although this may be easier said than done if you live in England due to the constant awful weather, on the rare sunny days that we do see over here in England you should try and make the most of it by drying your clothes outside. By leaving your clothes to dry in your home you are adding extra moisture to the air, and quite commonly people do this in their conservatories which is even worse, as all the glass in your conservatory is then vulnerable to condensation – and if left over time, mould. Clothes horses and washing lines provide a fantastic source of natural drying; this also saves you the extra expense of your dryer on your energy bills! Rid Your Home Of Mould And Damp Today! So save yourself the hassle of paying for a professional to get rid of the mould in your house, and stop it in its tracks before it can worsen! Keep your family healthy and happy by reducing the amount of condensation in your home, as well as saving yourself money on your energy bills! If you’re interested in insulting your windows to reduce the condensation in your home then take a look at double glazing Milton Keynes We hope that this article was helpful, if it was then why not share on social media?